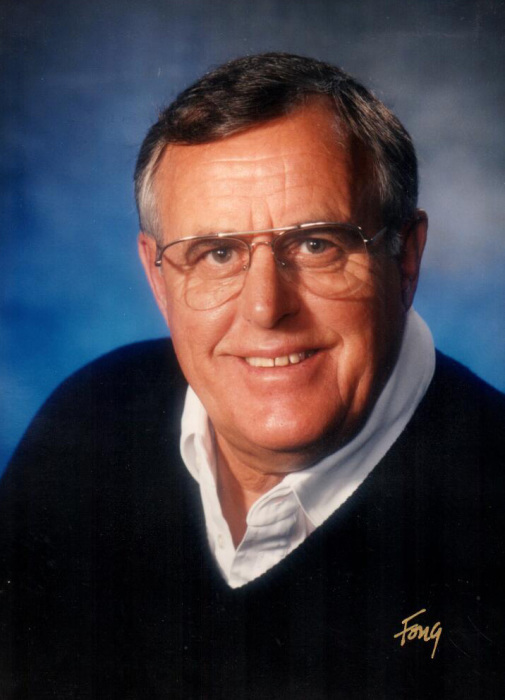 Jim passed away peacefully on Thursday, August 16, 2018 at Saskatoon City Hospital at the age of 88. He was born on June 11, 1930 in Wilkie, SK where he attended school and lived until the age of 18. He played several sports, but excelled as a goalie and went on to play 2 years for the Calgary Buffalos of the Western Junior Hockey League. Jim returned to Wilkie and followed his father’s footsteps by working for CP Rail as a breakman, out of Wilkie, Saskatoon and Edmonton. He married Lottie Krivoshein in 1961. They had two children, Doug and Susie. To be closer to his family he left the railway and became a trusted and successful realtor for Melton, LePage, Royal LePage and Cairns Real Estate. Later in life he enjoyed managing Lonnie’s Golf Shop. Jim had a soft heart for dogs, especially labs. He loved golf, hockey, baseball and fishing. He spent countless hours giving his kids lessons in golf, baseball and hockey, relentlessly at times. He attended almost all of their sporting events and even enjoyed watching practices. He was well liked and respected by baseball and hockey players as a knowledgeable, competitive and fair coach. Jim was a good judge of talent but cheered for the underdog. A very proud grandpa to his 4 grandchildren, he thoroughly enjoyed attending their activities, sports and graduations. He also enjoyed trips to Mexico & Hawaii, weekends at the lake with family and with his good friend, Marnie. Jim is survived by his son Doug (Melissa); daughter Susie; son-in-law Gord; grandchildren Turner, Duncan, Ty and Jordyn; special friend Marnie; and nieces and nephews. He was predeceased by his parents Barbara and Harry; brother Donald; sister Noreen; and nephew Bob. A Memorial Service will be held at 4:00 p.m. on Friday, September 21, 2018 at Windsor Chapel (704 Windsor St.) in Saskatoon. Arrangements in care of Chelsea Krentz – Mourning Glory Funeral Services (306) 978-5200.